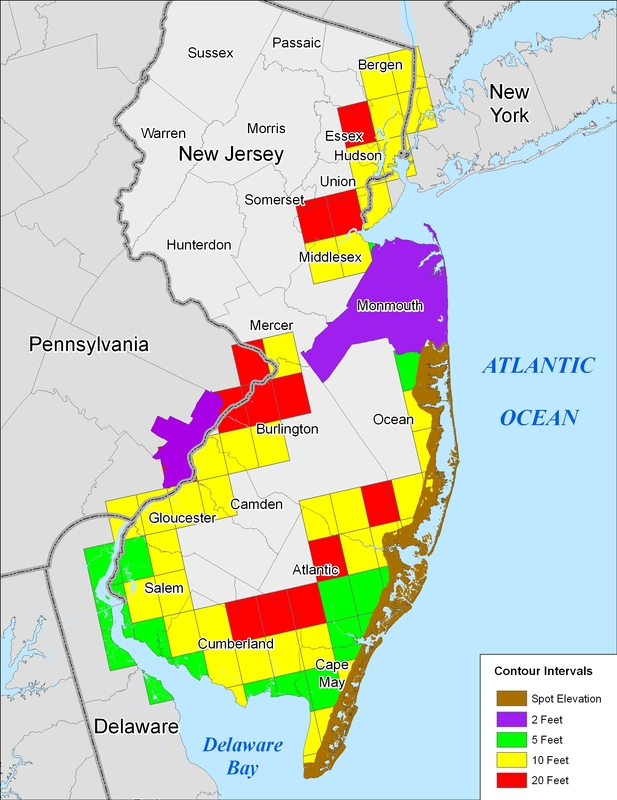 The majority of land close to sea level is wetland rather than the dry land depicted in this table, so the EPA study also provided a table of the area of New Jersey wetlands vulnerable to sea level rise. A printer-friendly file with the area of dry land and wetland vulnerable to sea level rise in New Jersey is also available. *This value is probably too low because of a data limitation. See the EPA report..
2. Includes Liberty Island and the part of Ellis Island in New York.